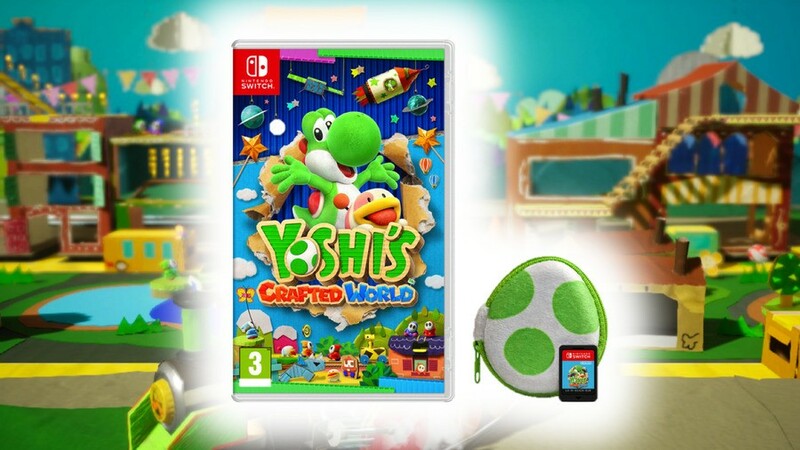 If you love Yoshi as much as we do (we'll ignore his tax evasion for today), then you'll no doubt be thinking about picking up a copy of Yoshi's Crafted World. A sequel to the excellent Yoshi's Woolly World on Wii U, this game is launching for Nintendo Switch on 29th March - and we can't wait. With that release date rapidly approaching, retailers are opening up their pre-order options, and one certainly stands out from the crowd at the moment. Most retailers - such as Amazon and GAME, for example - are selling the game for £44.99 (which is a pleasing £5 less than the digital price on the eShop), but this little bundle from ShopTo is cheaper and even comes with a little egg. 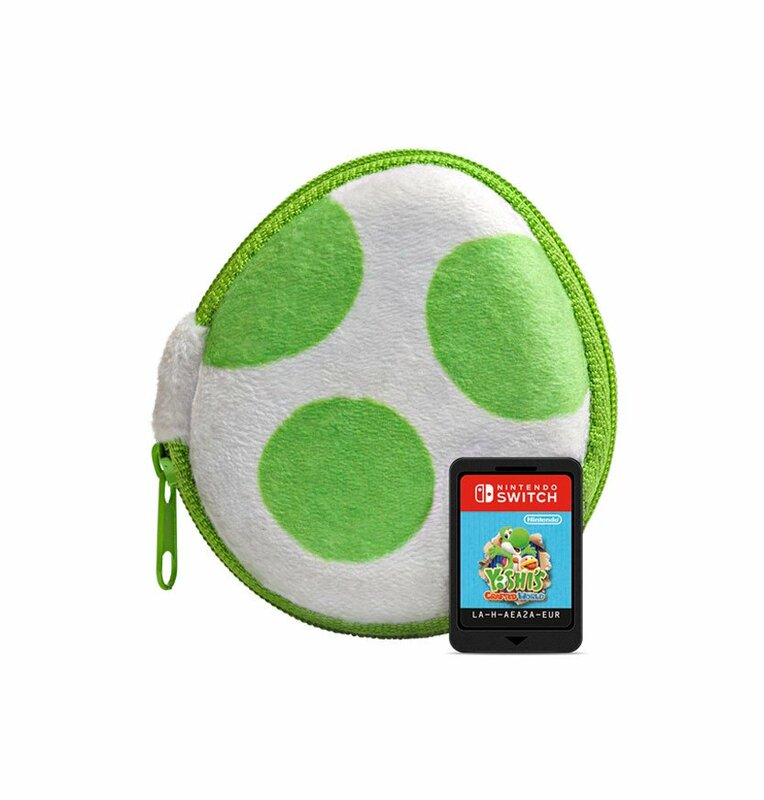 That's right, you can snag a copy of the game and a Yoshi egg-shaped cartridge case to keep it safe for just £39.85. International shipping is available. The thing is, we all know that we're unlikely to use the egg case all that much, but it's just so freakin' adorable. Are you excited for Yoshi's upcoming adventure? Are you thinking of picking up a physical copy, or are you going digital for this one? Let us know in the comments below. What no love for north america? Weren't they giving everyone a bunch of Yoshi plush toys in Japan? You're an Easter egg cartridge case!! I love Yoshi But why does the case hold only one game that is kinda dumb unless it can hold other games. I got a case looking exactly the same a few years ago with Yoshi on Wii U I think. It was... not that cute and absolutely not a convenient storage even for 3DS cartridges or coins or whatever. @JayJ i think that was extra cost. I have mario and luigi cap pouches that look very similar from club nintendo days. How come physical is cheaper than digital? This is great and I want to pre order especially at that price but I’m hoping Nintendo uk do a special edition bundle similar to the wooly world amiibo bundle. I already got one of these when Yoshi's New Island came out, but this one looks to be different material. I hope this thing will be available in the shop I pre-ordered this game at, too. I'd already pre-ordered the game for the same price elsewhere, but decided to cancel that one and pre-order this one just for the hell of it. FREE STUFF! @Tantani As not to p!ss off retailers. I really hope thus turns out good...because as of now Nintendos own new switch line up has been an absolute mixed bag. Super Mario oddessy, breath of the wild, splatoon 2 and smash ultimate are all fine and dandy, along with the adorable snipper clips, while ARMS ranks some where in the middle amongst gamers or possibly even less along with the semi undesirable(depending on your tastes) Mario and rabbids kingdom. @WaveBoy Mario Rabbids was by no means "undesirable." That game was excellent. Nope this is toot and I expect to only buy yoshi when it's £30 not £40! What a RIP OFF nothing for NA even though we support it the most... What gives. @WaveBoy still playing mario tennis and mario party with the girlfriend on a weekly basis, so your opinion doesn’t hold for everyone. Are you cobalt in disguise? To bad not for the US. Only Switch game I care about in the next 3 months. So already have my pre-order. 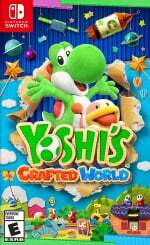 Yoshi's Crafted World was the last game I ordered on Amazon w/ my 20% Prime discount so getting it for $48, sans egg pouch. @JayJ nah, that's an Amazon thing you pay extra for. I have to say, this isn't really appealing to me the way Woolly World did. It's cute, but the textures just aren't as attractive. Smyth's is also selling the game for £39.99, provided you pick-up from a store. I’m trying very hard not to buy new games while I’ll clear out my backlog. THIS is not helping. Argh, must have useless egg thing and never use it! I'd be more interested, if a purchase of the game included a large pack of Reese Peanut Butter Eggs for Easter. As for the actual game, I've been meaning to check it out. I'm still enjoying Wooly World on WU, and if it is like that, then I'll probably enjoy it. @Friendly He couldn't be, as he said he liked Mario Odyssey. @Bevinator it's a brilliant site when you compare it to the disgraceful GAME. They don't take money until the game is ready for dispatch and 8/10 You get the day earlier. Prices are pretty good aswell to be fair. I've never been let down ever and I've been using them since Forza 3 was released on the 360 so quite a few years. "This item does not ship to Brazil. " Spanish stores don't seem to have looked at the prices in other stores. They're going full price, meaning 60. Shame. I wonder how many cartridges it holds. It would be pretty stupid/useless if it only takes a couple. @JayJ : I think they were bundles that Amazon Japan themselves threw together (I doubt that Nintendo would produce individual SKUs for the game and 10 additional boxed variations, PLUS another bundle containing all 10 of them. Imagine how big the box would have to be! @WaveBoy have you play Mario Rabbids or is your opinion based on the concept? Because I hate Rabbids but that game was stellar, gameplay more than made up for the Rabbids, I’d rank it up there with Odyssey. ARMS is a great fighter for those not heavily into the genre as well. And Kirby Star Allies is bad??? Got it for Christmas and it has a ton of fan service for the series. Story is a bit short and easy (though most Kirby games are), but more than makes up for it in all the extra content. Probably one of the best Kirby games IMO. I think the Switch lineup has been pretty good, I have a sizeable backlog already. I'd get it if I could. It says nowhere if the egg really only holds one cartridge. Which would be okay, I guess, but a little silly. I really want that game now! Definitely getting this game but not right away due to backlog. Yoshi's Woolly World was great and I think Crafted World will be even better. I think when Super Mario Galaxy 2 was released Nintendo gave press reviewers what looked like a big Yoshi Easter candy egg. Even empty, I'd like one of those. Mario Odyssey, Octopath Traveller and now this game are on my list of ‘reasons to get a Switch’. Not that I’ll be able to get one anytime soon with my 2nd daughter due in May. I hope this game turns out to be as good as it looked. I really liked the look of it when they showcased it at E3 the other year. I liked the way you played a level twice and saw it from both sides, and the way the Shy Guys were controlling all the props in the levels. I'm planning to get it from 365games.co.uk. They have it listed for £42.99 and I may be able to save £5 from their player points program.